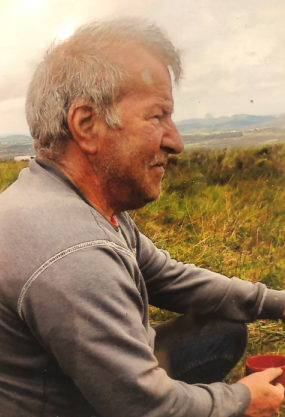 The death occurred on Monday, October 15 of Henry Figg, Tarmonbarry, Roscommon/ Sligo/ Longford. Henry will be sadly missed and remembered with love by his family, partner Joan (Fogarty) and her children John and Laura, his sons Jason and Sean and their mother Christine, daughters-in-law, grandchildren, brother, sister, relatives and friends. May he rest In peace. Reposing at Glennon’s Funeral Home, Ballinalee Road, Longford on Thursday, October 18 from 4pm until 6pm. Private cremation will take place on Friday, October 19 in Lakelands Crematorium, Cavan. Family flowers only please, donations, if desired, to Oncology Unit at The Regional Hospital,Tullamore, c/o Glennon Funeral Directors or any family member. The death occurred, tragically, following a road accident, on Saturday, October 13 of Tanaka Fortune Jnr Muzondo, Glenview Heights, Mullingar, Co. Westmeath. Deeply missed by his father Fortune Tichaona (sekuru), mother Shorai, sisters Sasha & Rutendo, brother Tafadzwa Donald, aunts, uncles, nieces, nephews, relatives and friends. May Tanaka rest in peace. Reposing at Gilsenan's Funeral Home on Wednesday, October 17 from 3.30pm to 5.30pm. Reposing at 82 Ardilaun Green, Mullingar, from 6pm until prayers at 8pm and family time thereafter please. Funeral Service on Thursday, October 18 at 11am in Mullingar Presbyterian Church, 35-39 Grange Crescent, Rathgowan, followed by burial in Ballyglass Cemetery, Old Longford Road, Mullingar. Family flowers only please. ‘My love’. The death occurred, peacefully, in the loving care of the nurses, doctors and staff at Lough Erril Private Nursing Home, Mohill, on Tuesday, October 16 of Bridget (Breda) McNally (nee Holton), Shannon Lodge, Carrick-on-Shannon, Co Leitrim and formerly Clonaugh, Moyvalley, Co Kildare. Predeceased by her brother William Holton and sister-in-law Irene McNally. Deeply regretted and sadly missed by her loving husband Aidan, sons Conor (Dublin), Shane (Carrick-on-Shannon), Paula (Scotland), Brenda (Carrick-on-Shannon), Joanne (Dublin), grandchildren Aisling, Niamh, Sinead and Zoe, great grandchildren Rian, Caoimhe, Oisin and Cillian, son-in-law, daughter-in-law, sister Sr Ann Holton (Carlow), brothers Jimmy and Peter, sisters-in-law, brother-in-law, nieces, nephews, relatives, neighbours and friends. Rest In Peace. Reposing at Lough Erril Private Nursing Home, Oratory, Mohill, on Wednesday evening October 17, from 3pm until 5pm with removal to St Mary's Church, Carrick-on-Shannon, arriving at 6pm. Mass of Christian Burial on Thursday, October 18 at 12 noon with funeral afterwards to St Mary's Cemetery. Family flowers only, donations in lieu, if so desired, to Alzheimer Society of Ireland. House Private Please. The death occurred, peacefully, at her residence surrounded by her loving family, on Tuesday, October 16 of Bernadette Doonan, Edergole, Cloone, Co Leitrim. Predeceased by her parents Frank and Cathleen, her brothers; John Francis, Joe, Brian, Gerald Christopher, Jim and Vincent, her sisters; Brigid Francis, Maggie, Mary Theresa, Philomena, Mary Clare, Carmel and Trudy. Deeply regretted and sadly missed by her heartbroken son; Micheal, her brothers; Des (USA), Kevin (USA) and Declan ( Cloone), her sisters; Maggie Bulger ( USA), Fidelma (USA), Josephine ( Limerick) and Dympna Reilly (Mohill), sisters-in-law, brothers-in-law, nieces, nephews, grand-nieces, grand-nephews, cousins, relatives, neighbours and friends. May Bernadette Rest in Peace. Remains reposing at her residence on Wednesday, October 17 from 6pm to 10pm and on Thursday, October 18 from 12 noon to 3pm with removal to arrive at St Mary's Church, Cloone for 6pm. Funeral Mass on Friday morning October 19 at 11am followed by burial immediately afterwards to Mohill Old Cemetery. Family flowers only please, donations in lieu, if desired to The Irish Cancer Society c/o McKeon's Funeral Directors, Cloone, Co Leitrim. House private to family please outside of reposing times.